Are you ready for New Years, 2011, a new resolution, and some positive change? Do you want to clean up your health in the coming year (finally), but aren’t ready to cut yourself off from everything good and wonderful? Or do you simply want try a new take on an old tradition? If so, I have a wonderful little recipe for you. It’s actually a combination of two of my favorite cookie recipes. And really, it’s amazing. This is a classic chocolate chip cookie with a twist (or several), and you can customize it any way you like. Personally, mine has an addition of millet and brown rice syrup. The latter is what keeps these cookies moist for days and days and days, if you’re in the mood to limit yourself, and adds a bit of a unique taste that everyone adores. I added dried cranberries and cherries, and only a teeny bit of chocolate chips, a combination with a great festive flavor, but certainly feel free to omit and add whatever you like. To get oat flour without searching at a specialty shop, simply put oatmeal (any kind) in the food processor for a quick whiz. You’ll find the oat flour adds a bit of earthy- flavor and texture. 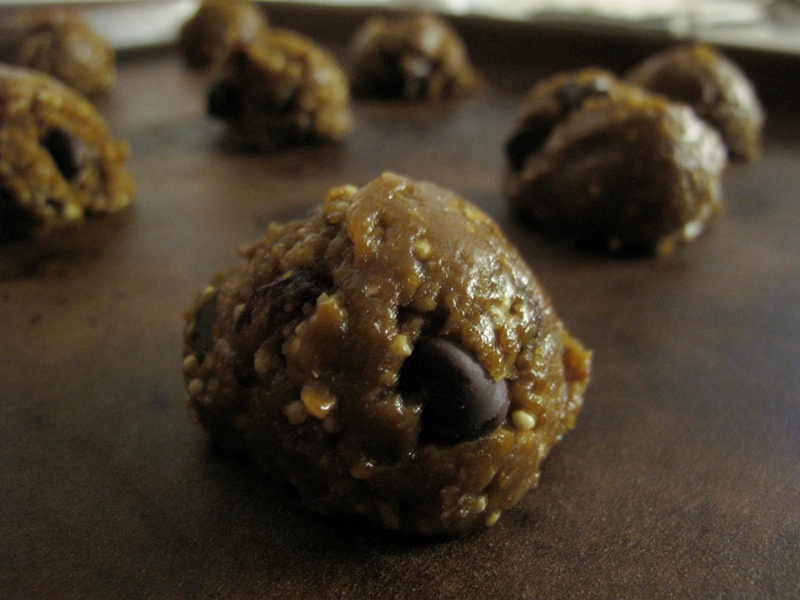 In a pinch, you can substitute part molasses for the brown rice syrup, but it will really change the taste! To make gluten-free, swap in 2 cups of Gluten Free Flour Mix instead of the wheat flours. In a large bowl, whisk together the oil, rice syrup, sugar, egg, water, and vanilla until completely blended. Stir the dry ingredients into the wet ingredients; fold in the millet, fruit, and chocolate. Cover and refrigerate for at least one hour or as long as overnight. Preheat the oven to 375 degrees. Scoop the dough by rounded tablespoons onto the baking sheet, spacing them 2 inches apart. Bake until light golden brown, 10 to 13 minutes. 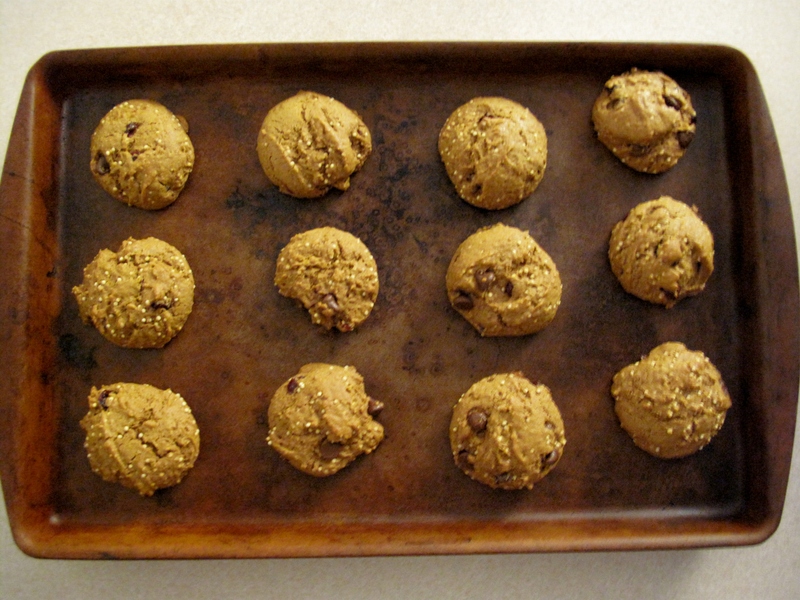 Cool cookies on the baking sheets for 5 minutes, then transfer to a rack to cool completely. Repeat with the remaining dough.